What better way to experience the Gloucestershire countryside than a camping holiday. Whether you plan to visit with a touring caravan, campervan or a tent it's a great chance to get back to nature in this lovely part of the UK. 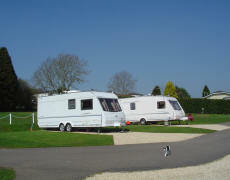 Camping in Gloucestershire is great fun whether you are on your own, a family or large group. Hoburne Cotswold (Cirencester) - A dreamy vision of chocolate-box landscapes, rolling hills and charming stone villages - that' the idyll of tranquillity awaiting you at our Cotswolds holiday park. 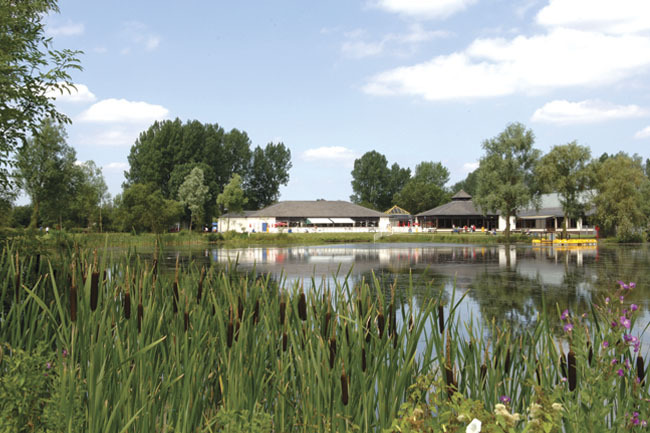 Croft Farm Water Park Ltd (Tewkesbury) - Croft Farm is located just outside Tewkesbury in the scenic River Avon Valley, with a caravan and camping park adjacent to our own lake. The wide range of watersports activities and tuition on offer provide added interest for those wanting a more active holiday. Tudor Caravan Park (Slimbridge) - Tudor Caravan Park is a quiet country site, and an AA 4 Pennant Graded Park. We accept caravans, tents, motorhomes, campervans and RVs all year round. Set in a picturesque location - a short walk away from the world famous Slimbridge Wetlands Centre, right alongside the Gloucester-Sharpness ship canal with the view of the Cotswold Hills in the background. 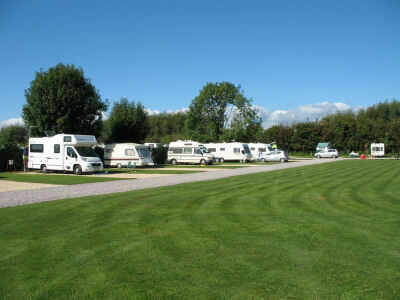 Briarfields Touring Park (Cheltenham) - Briarfields touring camping site is beautifully landscaped and can accommodate up to 72 caravans and/or motorhomes. 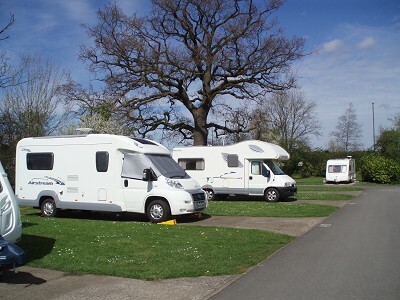 Our caravan and/or motorhome pitches include free WiFi hotspots and are mostly level hard-standing with electric hook-up alongside well maintained lawns, mature trees and shrubs that give all round interest. Mayfield Park (Cirencester) - Mayfield park is a family owned site close to the market town of Cirencester, Capital of the Cotswolds. We have 36 pitches for both camping and caravanning, giving us 72 pitches spread over a generous twelve acres. If you are new to camping or need to buy new camping equipment for your camping holiday in Gloucestershire then buying your tent and camping equipment online is a great way to save money. If camping is not to your taste we have plenty of other types of holiday on offer. For self catering why not choose a holiday caravan or lodge in Gloucestershire or for that extra luxury a Gloucestershire cottage could be ideal. And if you prefer a hotel or guest house we have that covered too.